GENEVA – Cello instructor Glenna Curren is the newest member of the St. Peter’s Community Arts Academy faculty. Curren has maintained a private teaching studio since 2002. 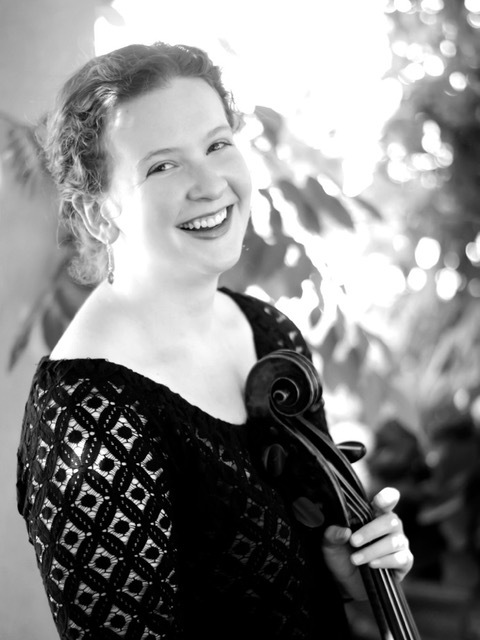 Currently based in Rochester, she has taught as a teaching assistant at Oberlin Conservatory and is a graduate of the nationally recognized Penfield Suzuki Program. A free-lance Cello and Baroque Cello performer, she has been associated with the Community Arts Academy since January. She works with all different age groups and even has a group of four students over the age of 50. Curren says she likes getting to know the student and figuring out how different people learn. “I really enjoy puzzling out the mechanics of difference between the proportions of one student to the next.” A teacher since the age of 11 when she was practicing with kids 5 and 6 years old, Curren focuses on creating a personalized method for each student. As a performer, Curren has appeared across the United States and five European countries. A Rochester native, she has been a returning guest soloist on Rochester Public Radio’s performance series Live from Hochstein and with the Rochester Philharmonic Orchestra, and is an alumna of the Rochester Philharmonic Youth Orchestra. Currently, she is a founding member of Upstate New York’s only Classical period orchestra, Ensemble Perihipsous, which is currently in its first season. With her small instrumental chamber ensemble, Ogni Sorti, she explores lesser-known works of the Renaissance. Also a soprano, she performs with Rochester’s critically acclaimed vocal ensemble, the Christ Church Schola Cantorum. The Community Arts Academy offers lessons and performances in children’s choirs, piano, violin, cello, organ, voice, dance and guitar and now serves more than 300 students from 16 area schools in a five-county area in large part due to the dedicated core of instructors and staff, all of whom are professionals in their field. Embracing its theme of “Arts for All,” the academy is open to everyone from infants to adults and is not affiliated religiously, although St. Peter’s Episcopal Church sponsors and supports the academy.